There have been many methods used over the years to try and prevent corrosion. These methods include dehumidification, evacuation of air/gases, nitrogen purges and protective barrier coatings. Each method has it’s pros and cons. If fully coated, oil does a decent job of repelling water on the surface of the metal, thereby preventing rust. Given time, moisture will diffuse through oil, make contact with the metal surface and cause corrosion or rust. Oils are messy and sticky to apply. 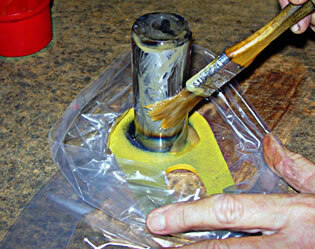 Oils must be removed and the surface cleaned with a solvent or other method. Oils are hazardous and disposal may be a problem. Oils introduce health risks to workers. Oils attract dust and dirt which are not only messy but can lead to corrosion through contamination. If fully coated, a good RP liquid can do a decent job of repelling water on the surface of the metal, thereby preventing rust. Given time, moisture will diffuse through RP liquids and make contact with the metal surface and cause corrosion or rust. RPs can be messy and sticky to apply. 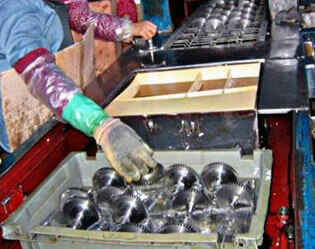 Most RPs must be removed and the surface cleaned with a solvent or other method. Many RPs are hazardous and disposal may be a problem. Many RPs can introduce health risks to workers. Many RPs attract dust and dirt which are not only messy but can lead to corrosion through contamination. If you are mixing the RP, ratios and proper mixing methods are important and mistakes can lead to rust issues if not caught. If a product is able to be painted, this should provide the best method of corrosion prevention. 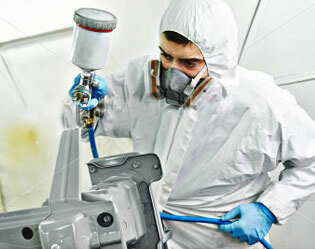 A paint is visible on the surface providing assurance that a metal parts has been coated. It is typically not practical or feasible to paint a metal part that is used in engines, transmissions, electronics, or other critical applications. Paints are messy to apply. Paints are permanent and not likely to be removed. Paints can introduce health risks to workers. Alters the environment to remove moisture and humidity. Can work well when applied with a good vapor corrosion inhibitor. Adsorbs moisture in the air but doesn’t address the surface of the metal. 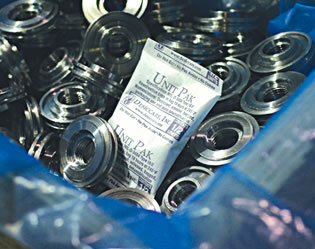 Once desiccant pack reaches maximum adsorption it ceases to work. Does little to affect other corrosive effects such as gases, contaminants or acidic materials in packaging. In large packaging scenarios, it is not practical to rely soley on desiccants to desiccate an area; must be used in combination with other materials. Clean, safe, easy to use. 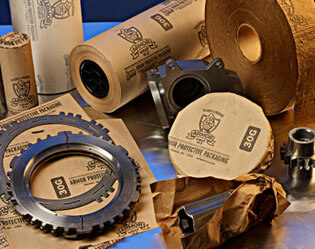 Combines packaging materials with corrosion inhibitor. No messy liquids; leaves returnable packaging and shop environment clean. Good VCIs contain no hazardous chemicals to humans or environment. Good VCIs have a lasting effect for long term storage yet work quickly to saturate airspace. Volatilization of chemical allows VCIs to replenish themselves. Ideal for shipping and both short and long term storage. Can be used in-process in a production setting. Safe on other materials such as plastics, rubber and vinyl. Not permanent; allows for flexibility. May require to be used in combination with other corrosion inhibitors for outside storage. Not permanent like a paint. Abundance of water infiltration can wash out VCI. If rust is already present, may not work as well as an oil in masking a problem. For further information about the benefits of ARMOR vapor corrosion inhibitor (VCI) nanotechnology, explore the other parts of the ARMOR website!